Soundgarden, one of Seattle’s seminal grunge acts, is breaking new ground in the midst of a comeback, and I’m not talking about headlining the main stage at Lollapalooza this Sunday. With the release of their first album in over 10 years on Oct. 5--Telephantasm: A Retrospective--the grizzled 90s vets are smashing video game industry guitars on their way back to center stage. In conjunction with Activision’s newGuitar Hero: Warriors of Rock, due out on Sept. 28, Soundgarden will be bundling their latest album with the initial million shipments of the game, marking the first time a retail CD has been packaged with a video game. Before it's even available in stores, Telephantasm will already be certified platinum. In addition, three expanded versions of the new album will be available for sale in union with the game’s release, including a double-disc set, Soundgarden’s first ever DVD, and an individually numbered Super Deluxe Collector’s Edition. The bundled basic album will is due out the following week. Telephantasm is essentially Soundgarden’s greatest hits album, with Grammy-winning hits "Black Hole Sun" and "Spoonman" leading way into a new track titled "Black Rain", which will be available on the 90-plus song setlist of Warriors of Rock. Moreover, the remaining 11 songs will be offered as downloadable content upon the game's launch. Activision employed a similar sales strategy last year with the release of DJ Hero, which included a two-CD compilation of Jay-Z and Eminem tracks, who’s photos adorned the limited edition bundles and who’s songs headlined an eclectic mix of featured rap entertainers. These relationships signify the recognizable impact this avenue of media has on a younger generation. Cornell feels that it is this connection that will help reintroduce their band to listeners of young and reinvigorate listeners of old, who brushed the dust off of Down on the Upside and Batmotorfinger on New Year's Day earlier this year when Cornell alluded to the band reuniting via Twitter. "There are a lot of different ways to get your music out...this clearly to me is one way to do that," Cornell says. "Guitar Hero has actually turned on a lot of young music fans to music that they otherwise might not have ever heard." 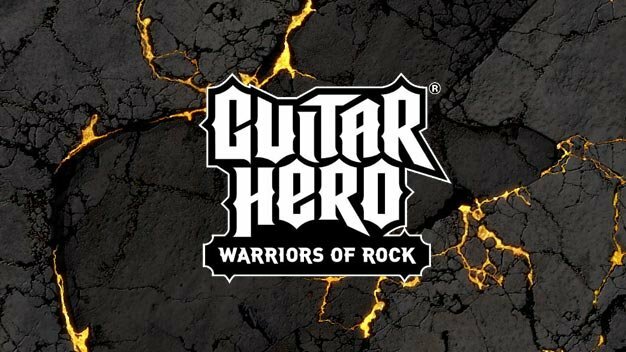 Guitar Hero: Warriors of Rock will be available on the PS3, Wii, and Xbox 360, and is rated T for ages 13 and up. I enjoy pizza, wheat ale, R.L. Stine novels, and collecting Pogs.